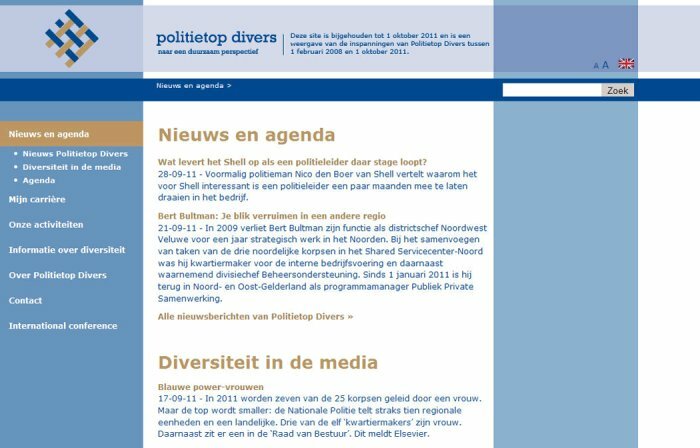 'PolitieTop Divers' is a sustainable anchor of the diversity of the Dutch Police. 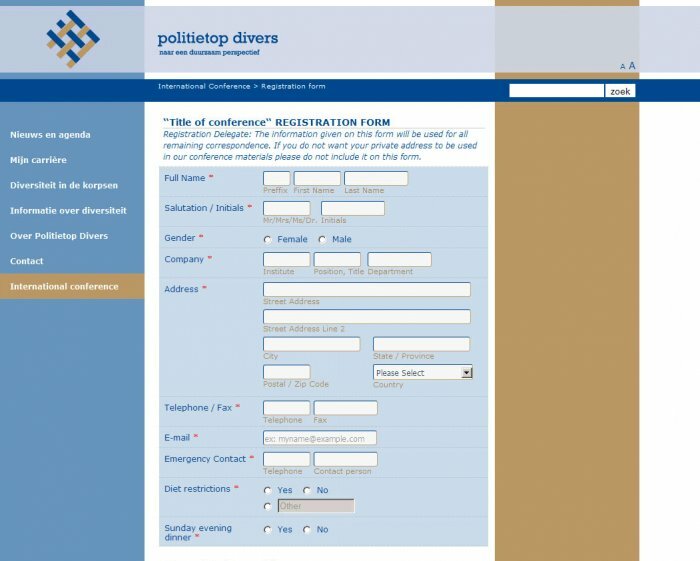 Alex had been asked to evaluate the existing "PolitieTop Divers" website. The resulting thorough research took into consideration all relevant aspects of the target audience and led Alex to conclude that the existing website was 'old style' with a lot of loose pages, and without a clear site structure or navigation. Alex suggested the following solution: the creation of a totally new website with a usable custom build CMS, stripped of all unnecessary add-ons. Also, the proposed new website would contain a new logical navigation structure. This project was completed in co-operation with Barlock who provided Graphical design.